The main challenge in database-as-a-service is the security and privacy of data because service providers are not usually considered as trustworthy. So, the data must be encrypted before storing into the database. Another challenge arises that the performance is degraded on the deployment of encryption algorithm on runtime. Furthermore, the connectivity through the Internet adds more delay. To tackle this, we have proposed parallel query execution methodology using multithreading technique up to 6 threads. We have conducted experiments up to 1000,000 (1 million) encrypted records. Our results are quite promising. For data encryption/decryption, we have used advance encryption standard with blocking length of 256 bits. 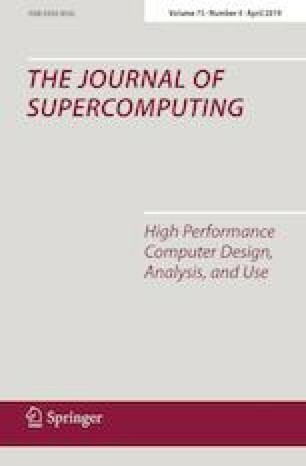 We have designed our methodology in the context of parallel computation method proposed in the literature (Ho et al., in: Proceedings of the 2017 international conference on machine learning and soft computing, pp 47–52, 2017). We compared the results with state-of-art algorithms. The state-of-art algorithms execute the experiments on 10,120 encrypted records maximum which took about time of 1000 ms with 2 threads. But the proposed methodology is proved outstanding that executed the experiments which were performed on 100,000 encrypted records. It outperformed with 6 threads which took only 507 ms even with 2 threads, and the proposed methodology is much better which took only 994 ms. So, the efficiency and scalability of the proposed methodology are proved better as compared to state-of-the-art algorithms.